A thriving preterm neonate had new onset sepsis with off color skin and poor feed tolerance. A work up for sepsis was sent and antibiotics were upgraded to 2nd line agents. Inotrope was added for tachycardia with poor perfusion. By evening, there was polyuria with >8ml/kg/hr of urine. We checked our list for any drugs and checked RBS- it was high, so GIR was decreased. 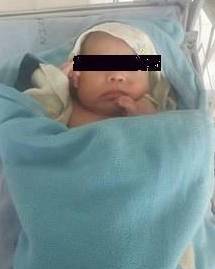 By night, baby developed acidotic breathing with severe metabolic acidosis with high blood sugar and urine sugar + ketone +. Fluid corrections were started, and was managed with Infusion of Insulin. Over next 12-24 hours the blood sugar came down to < 150mg/dl. Insulin was stopped and there were no further episodes of hyperglycemia. HbA1c was normal. Baby did well with normal Head scans. The most interesting thing was the Blood sugar in this baby reached upto 1500mg/dl with ABG ph- 6.9 and HCO3 upto 4meQ/L. A baby who was ventilated for poor respiratory effort at birth was extubated on day 4 but started developing features of Congestive cardiac failure in late 2nd week. Baby had murmur since Day 2 but we noticed changing nature of murmur and deteriorating cardiac functions. Baby was started on diuretics and also needed Digitalization. Baby remained CPAP dependent. ECHO was requested. Echo located vegetation in RVOT. The baby also had repeated anemia. In background of all these, we started the therapy for IE. Baby remained 50 days in hospital and was discharged with good feeding and weight gain. Adequate control of failure and will follow up soon for repeat ECHO. 3. IUGR baby with recurrent hypoglycemia : Congenital adrenal hyperplasia. A male baby was transferred in for lethargy and low blood sugar. Despite all management and adequate control of sepsis, it was difficult to wean the baby from IV drip. In background of hyponatremia, hypoglycemia and dark stained genitalia, 21 OHP level was sent which came high and significant. As sample was sent at time of illness, a repeat sample was sent that confirmed CAH. Baby was started on steroid and weaned off IV. Baby was sent for Endocrine consult for optimal care. 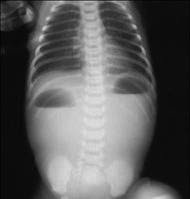 In view of bilious vomiting and double bubble appearance on Xray, a preliminary diagnosis of Duodenal atresia was made. Baby was operated and on laparotomy has Annular pancreas. 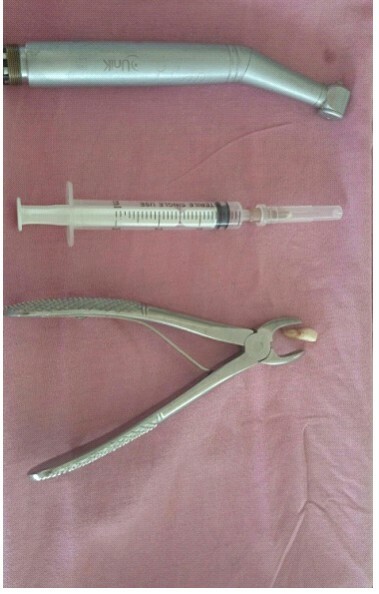 A duodenoduodenostomy was done. For a resource limited condition like ours where NO is a dream, so is HFV, we administered sildenafil. 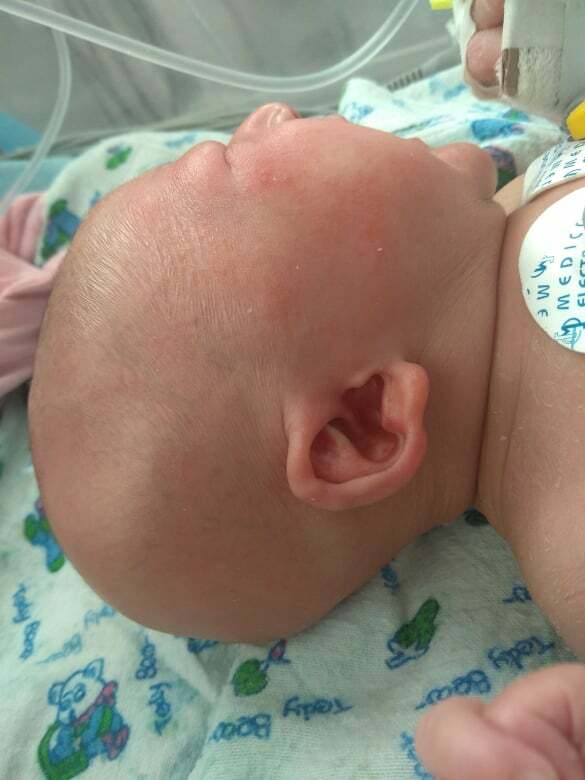 The baby’s Oxygenation index decreased over next 12-24 hours and were quickly weaned off ventilators in 2-3 days. A renewed lives from lost hope. One thing that clinicians have to beware is, it can cause refractory hypotension and should be used with caution. It should be avoided in cases with hypotension. It was the first time, we had to use Adenosine in neonate. This was case in India during my course. Baby had atypical genitalia. USG revealed Lissencephaly with corpus callosum agenesis. Baby developed refractory seizure and was difficult to control with 3 antiepileptics so was kept on midazolam infusion. Baby ultimately expired. This was also case seen in India. A newborn was referred in suspicion of CDH. Baby was cyanosed at birth. On examination, the findings were inconsistent with diagnosis. Chest Xray ordered showed good delineation of diaphragm on both sides. A suspicion of Congenital heart disease was made. Examination showed a huge posterior and anterior frontanels with diasthesis of suture. Baby had mid-facial hypoplasia with depressed nasal bridge. USG cranium was ordered as such that revealed, Holoprosencephaly. MRI was planned. EA/TEF was first time repaired in our teaching hospital with success. Baby was taken on academic bed and all procedures was done free of charge. The baby has undergone esophageal dilatation few times and is thriving well. With no other organ involvement, we expect the baby will have near normal outcome. This was an endeavor of Pediatric surgery team Neonatology team, Pediatrics team and Ped Gastroenterologist. None of the less the anesthesia team. The baby came on follow up at 3 years age, well thriving, shy but clever child. 11. Extremely Low birth weight Babies- NICU survivors: Our milestone baby is 830 grams baby at 29 weeks POG, severe RDS, was ventilated and given Surfactant therapy. Very motivated and cooperative parents helped us help the baby make it through. After 6 weeks of stay, baby was discharged with good weight. Few other babies, 27 weeker, 910 grams, 970 grams, 870 grams have made through , which were our remarkable cases. 12. 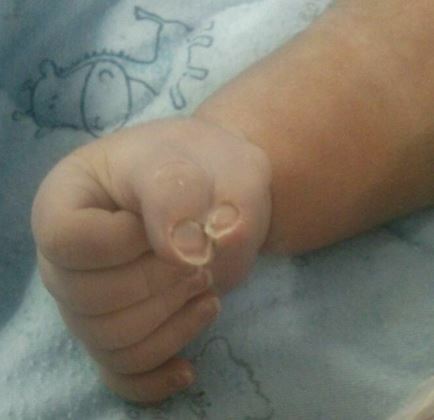 Neonate with Ectodermal Dysplasia – Anhidrotic : A neonate was brought to NICU with fever. On examination baby had dry skin, no hair and lacked sweating. 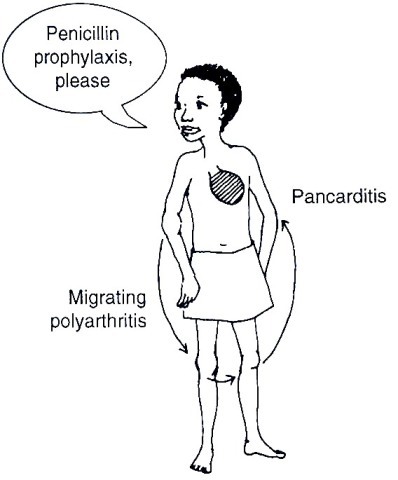 Discussed with Dermatology and a diagnosis of ED was made.